﻿ Best Price on Apartotel Gaviotas in Jaco + Reviews! 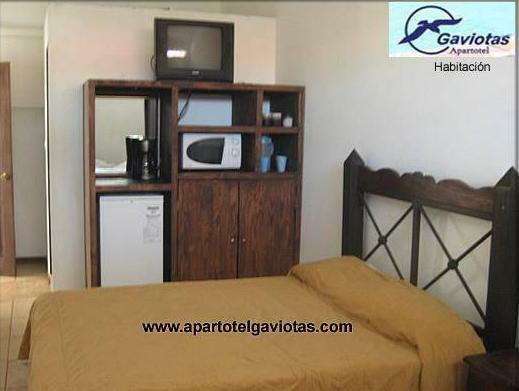 Apartotel Gaviotas is 400 metres from the beachfront in the Gulf of Nicoya and has an outdoor pool, free Wi-Fi connection and luggage storage services. The tour desk can help the guest to arrange trips and sightseeing the area. The rooms are air conditioned, and have private bathrooms with showers and toiletries. All rooms feature a terrace overlooking the gardens. Guests will be able to find food options within 100 metres from Apartotel Gaviotas, mostly serving local dishes. Jacó Beach is 200 metres from the property, and Juan Santamaría International Airport is 80 minutes’ drive away. San José City is 1 hour and 26 minutes’ drive away.